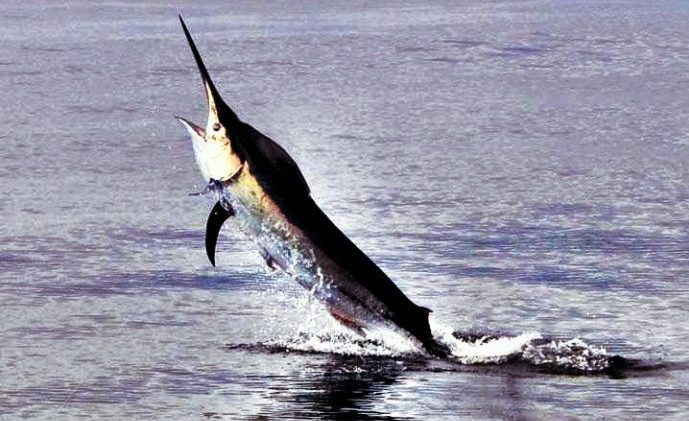 The Galapagos Islands are most famous for the Marlin bite. 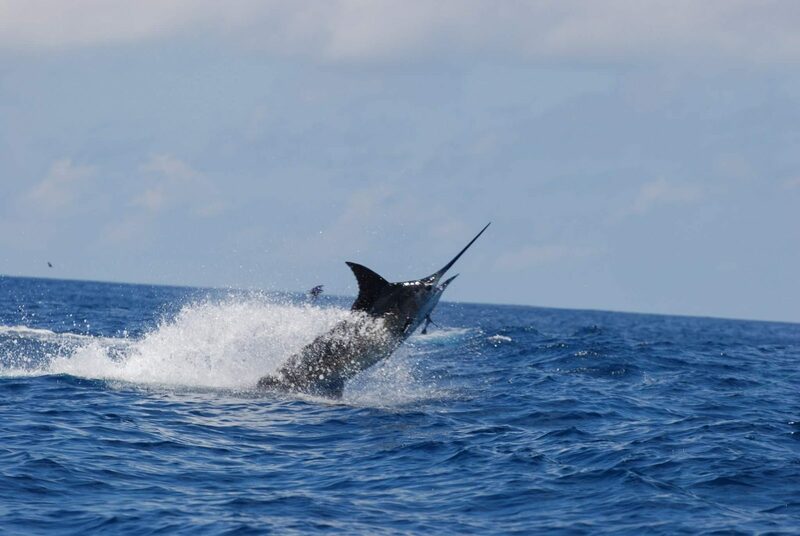 Striped Marlin, Black Marlin, and Blue Marlin are all present. 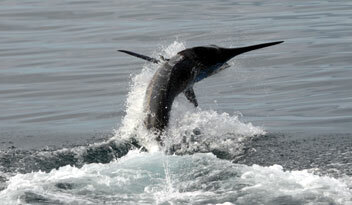 The Marlin fishery is 100% release and is carefully protected by the Ecuadorian government. 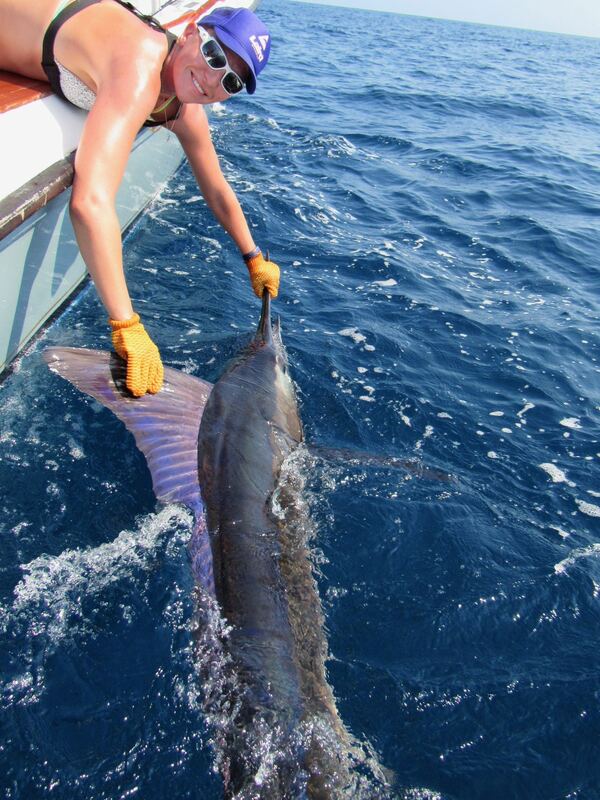 Striped Marlin are the most common and they are as big as anywhere in the world. 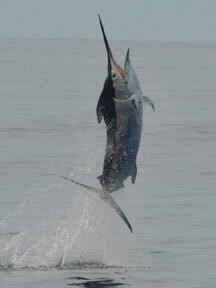 Typical Striped Marlin range from 150-250lbs and several fish have been caught in the 400lb class. 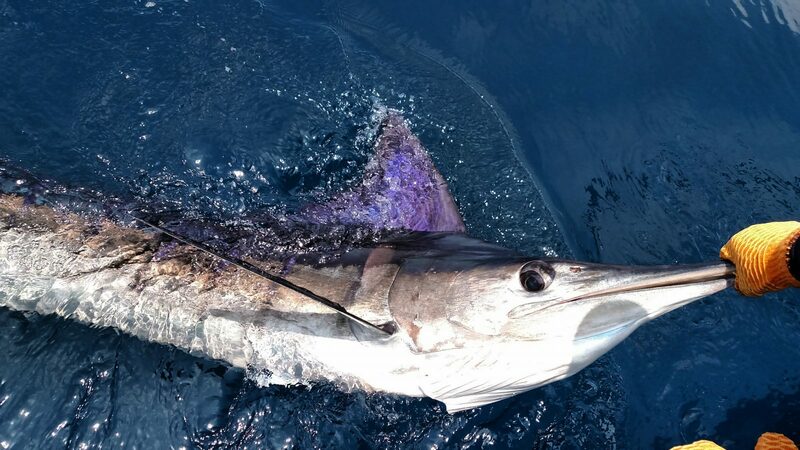 When the bite is on, it is not unusual to see 30 or more attacks and double digit hook-ups. 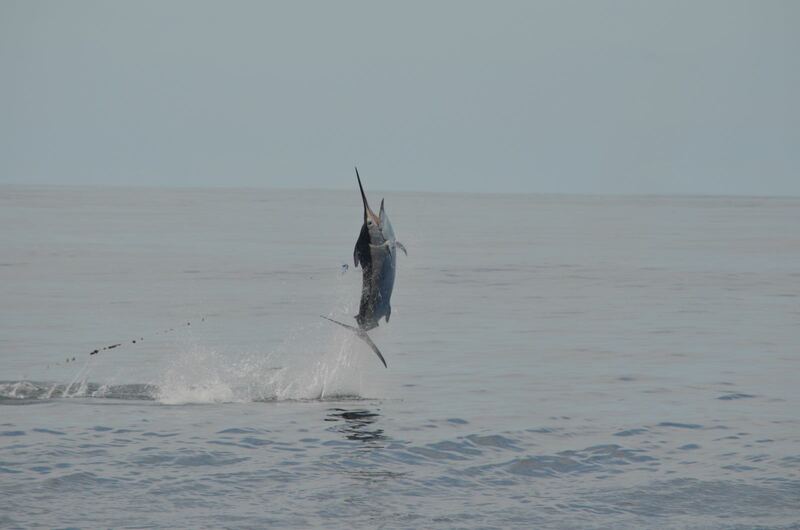 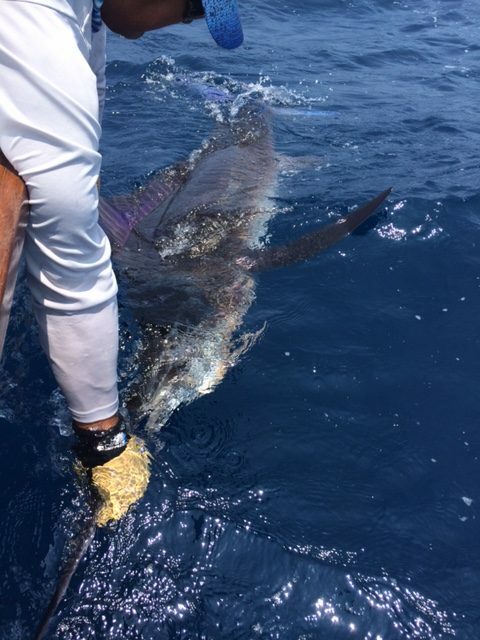 Black and Blue Marlin are usually 400lbs and up. 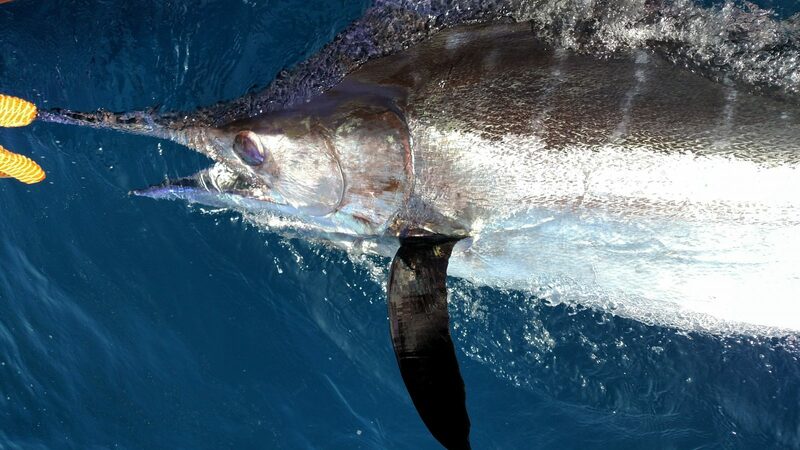 Numerous fish are caught each season in the 600lb class. 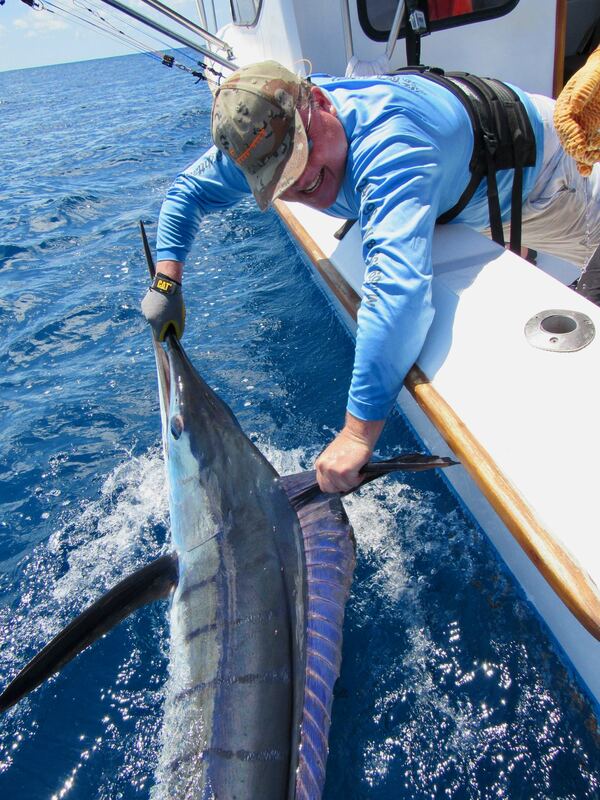 Most anglers prefer to use stand-up tackle. 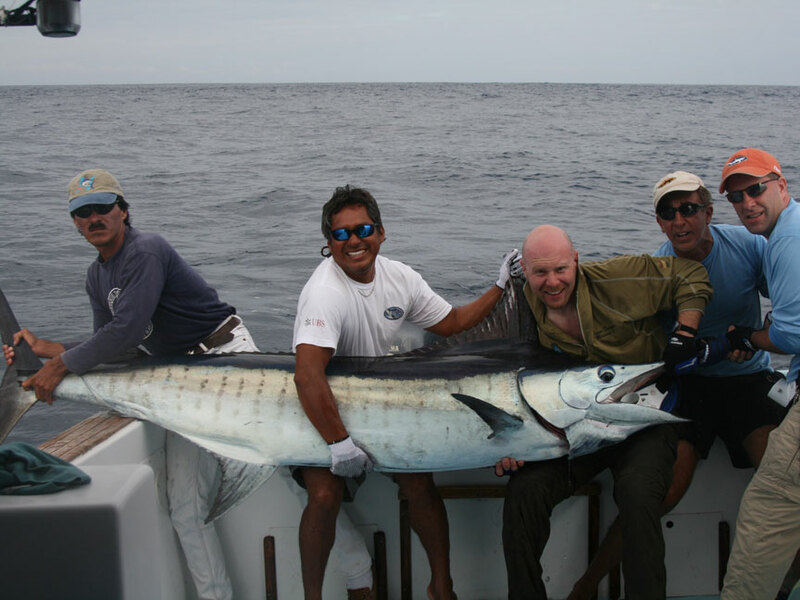 All conventional tackle and gear is provided. 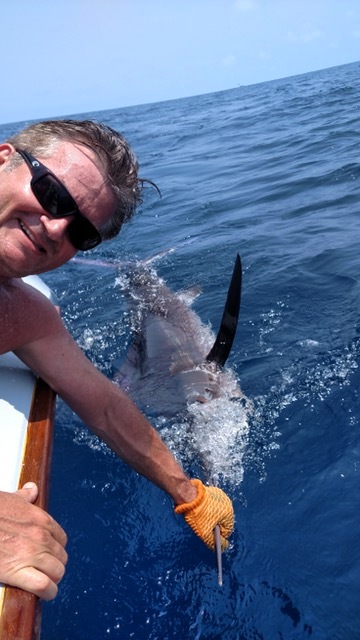 Anglers need to only bring sunscreen and a camera! 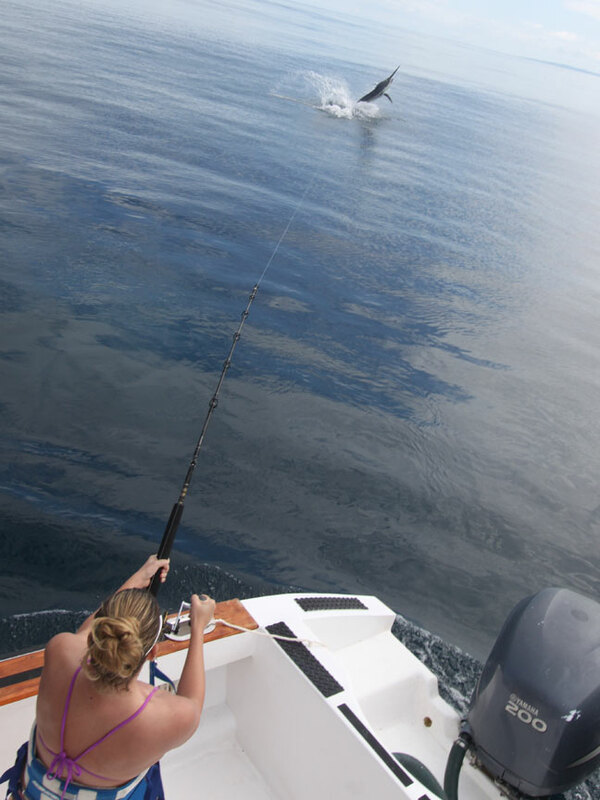 No prior experience is required. 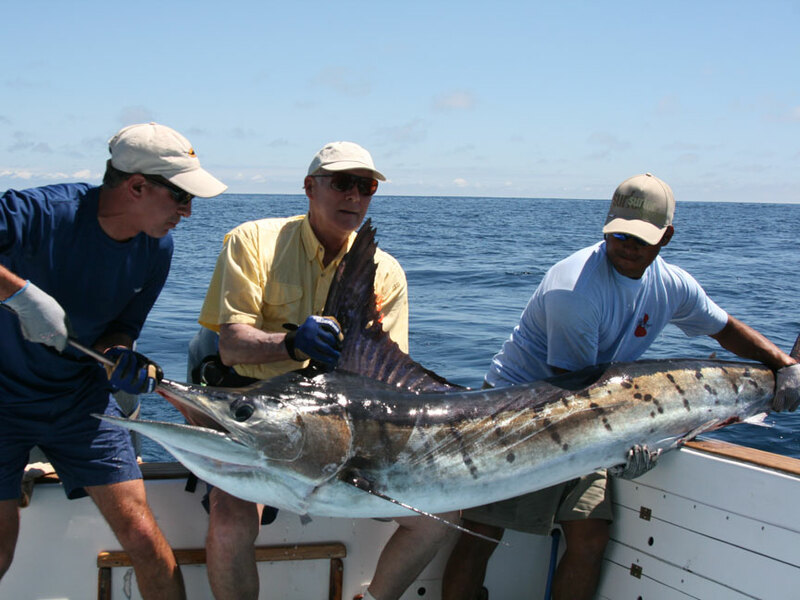 Fly fishermen are welcome, but need to bring their own gear.